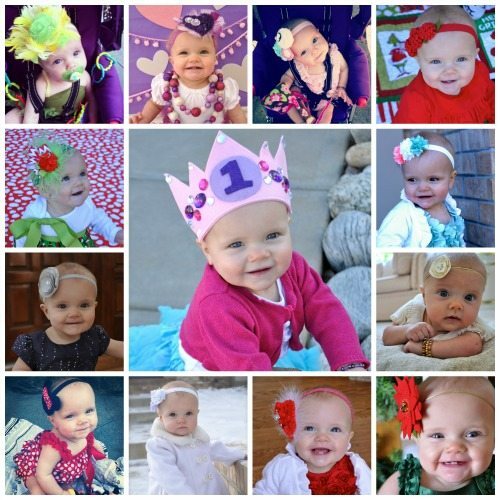 Here is a collage of just a few of my favorite headbands that I have made for her…….yes, I have problems. I am aware. 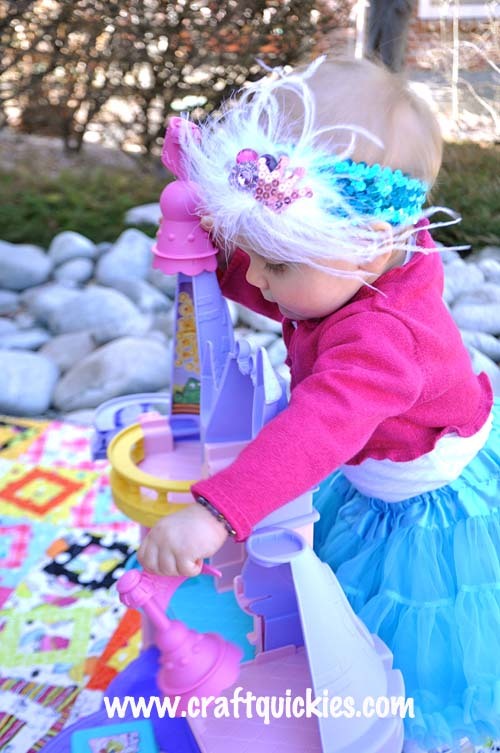 And let’s be honest: this isn’t even close to all of the headbands that she owns. 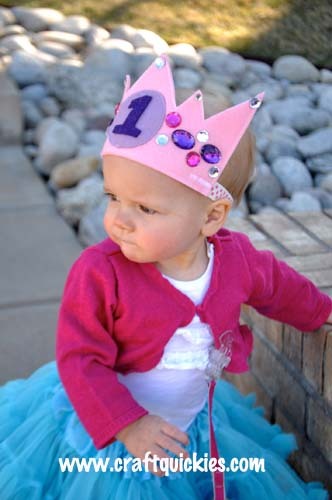 Ok, now that we have established that I have some serious issues, here is my justification for her having two Birthday Princess headbands: I had made her the feathery one that you can see at the bottom of this post, and then I saw the red felt crown shown below that my talented friend Stephanie made for her daughter’s birthday and I knew that Jade HAD to have one…..but that it needed to be significantly more “blingy.” Shocked? Yeah, I didn’t think so. 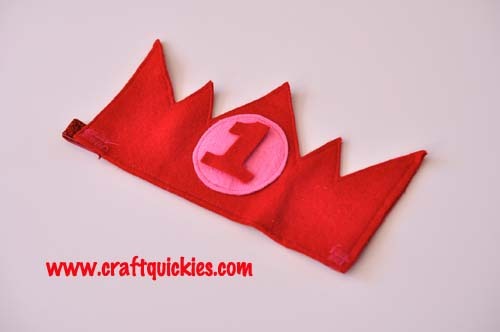 Stephanie swore it would only take me about thirty minutes to make a felt crown, and you know what? She was RIGHT! I whipped this thing out, and MAN OH MAN did we get compliments on it! 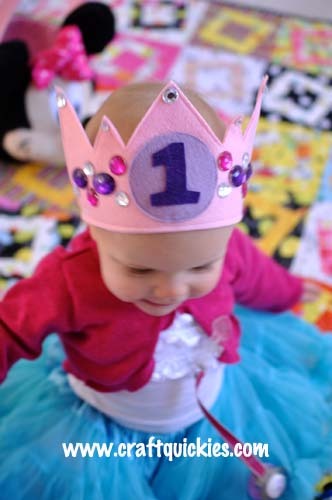 It turns out people love a baby in a felt Birthday Princess crown. So let’s get started on this tutorial! I know that I always appreciate specifics, so I have created a free PDF pattern for you to use. You can download the free pattern here. Simply print it out on a regular 8.5×11 piece of paper and you will be good to go! 1. Cut out your pattern. I used Stephanie’s crown as a pattern. Thanks, Steph! 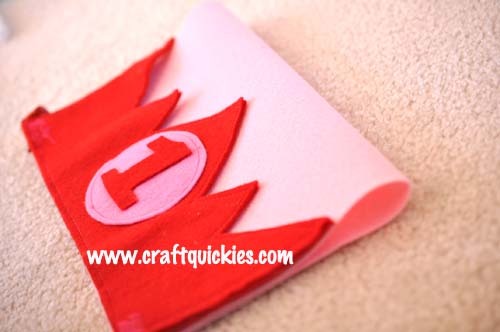 Fold a sheet of felt in half (or cut it in half) and cut out two crowns at once. 3. 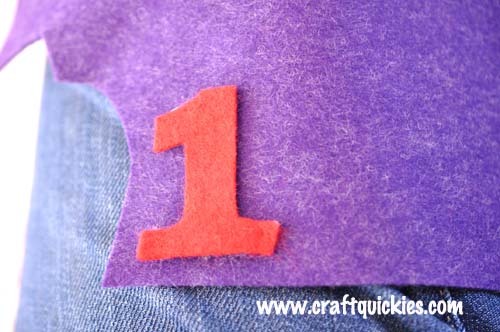 Use your third color of felt to cut out the felt number of your choice. The pattern includes the number one. Steph’s one was loose, so I pulled it off and used it as a pattern piece prior to gluing it back on. 4. 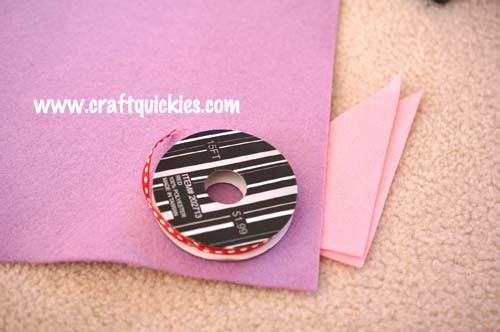 Now cut a piece of fold-over elastic that is about a foot long. Now you have all of your pieces prepared and ready to assemble! 5. Let’s start with the sewing. 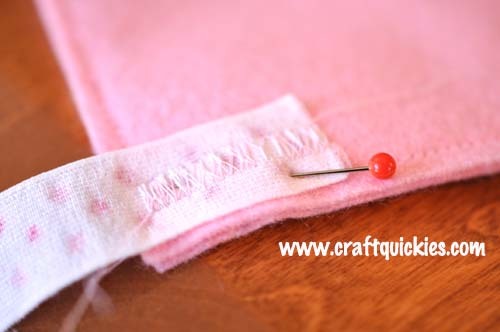 (If you don’t have a sewing machine that’s ok! Just use a hot glue gun for every step. It won’t be as secure or long-lasting, but it only has to last a day or two anyway!) 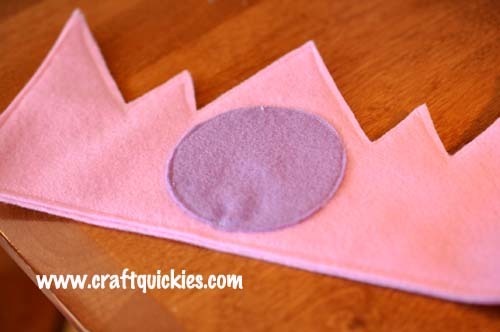 I started by sewing my circle onto one layer of the crown. Next I sewed my two layers together. Technically you don’t need two layers. It just makes it thicker and cuter since it will stand up better. 7. You’re almost done! Now it’s just time to glue. Glue, glue, glue like the wind! 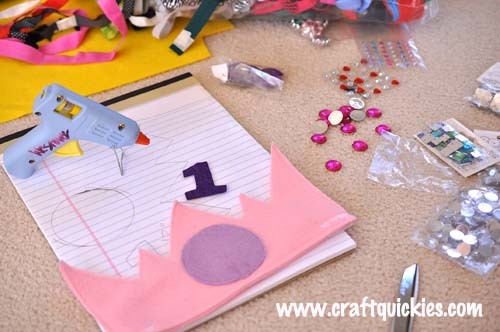 Glue on your letter and then glue any variety of rhinestones on in any pattern or design that you little heart can dream up. I know I’m a bit biased, but isn’t she just perfection?!?! You’re so-called talented friend Stephanie’s sad looking headband looks like poo next to baby girls! On an un-related note, is it May yet? You need to be back in my life. Stat. hahahaha. You crack me up! I agree on one thing, though—-IS IT MAY YET?! Adorable! Thanks for linking it up at Monday Funday! Super-cute! But why does it only have to be for a princess? I think a boy could enjoy that just as much? I TOTALLY agree, Anna!!! I just called it that because it was for my princess specifically. 😉 For my son I actually made a felt crown that wrapped all the way around and attached with velcro, like Max from Where the Wild Things Are. Wow! That totally made my day!!! Thanks, Anna!! Hi! 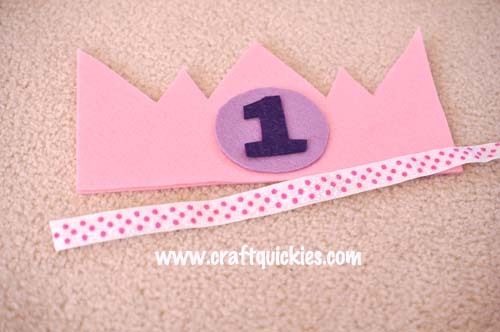 We featured your adorable crown in a round up of similar ideas on our blog! Thank you for the inspiration! 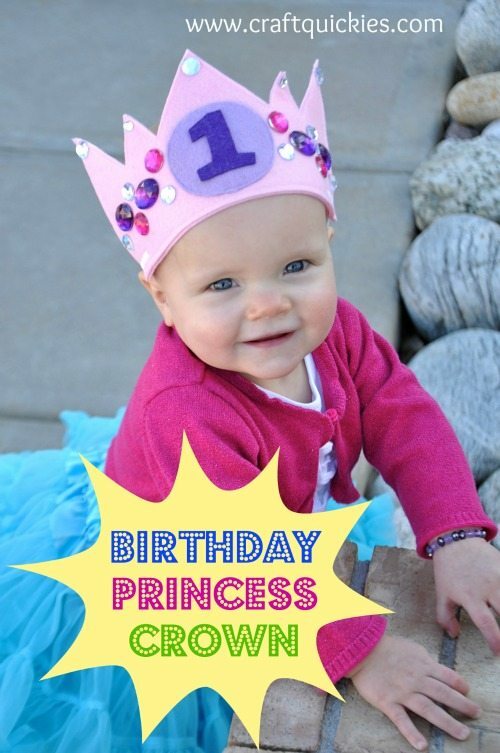 Love this birthday crown. 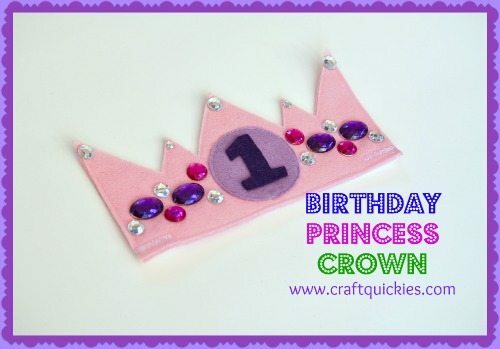 It could even be made for a birthday prince by changing up the colors.